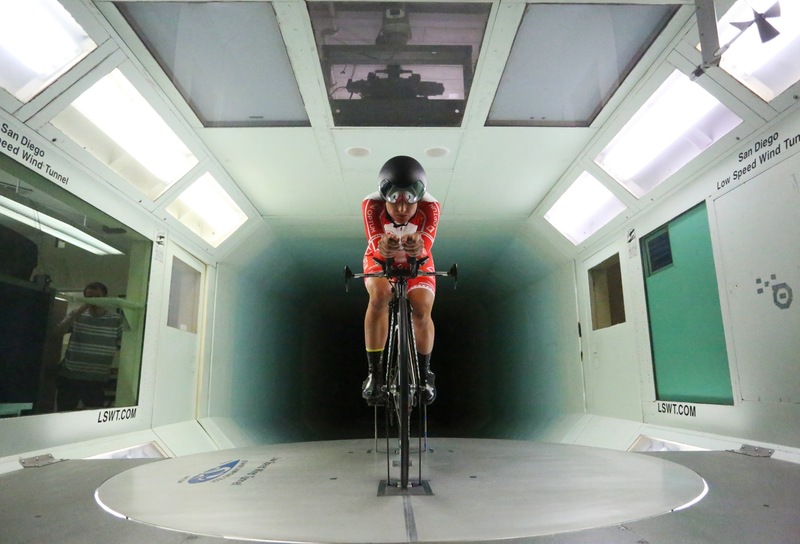 Last week I was granted the incredible opportunity to visit the San Diego wind tunnel to measure and improve upon my aerodynamics on the bike, an important performance detail that I have never concretely measured. This opportunity was made possible by a partnership between my pro team, Optum pro cycling p/b Kelly Benefit Strategies, and the Canadian Sports Centre Manitoba. I first decided to make time trialling a priority in training with the return of the team time trial World Championships in 2012. Optum made it clear that this was a major team focus, and I wanted to be in the best position to contribute to the team’s goals. My physical time trial ability has improved dramatically due to this focus, and I posted some decent individual results last season as a product of my efforts. I was first shocked at first to find myself on the 2014 Redlands time trial podium standing next to Alison Powers, one of the all-time best American time trialists. I was even more surprised to find myself crowned the Canadian national time trial champion a few months down the road. 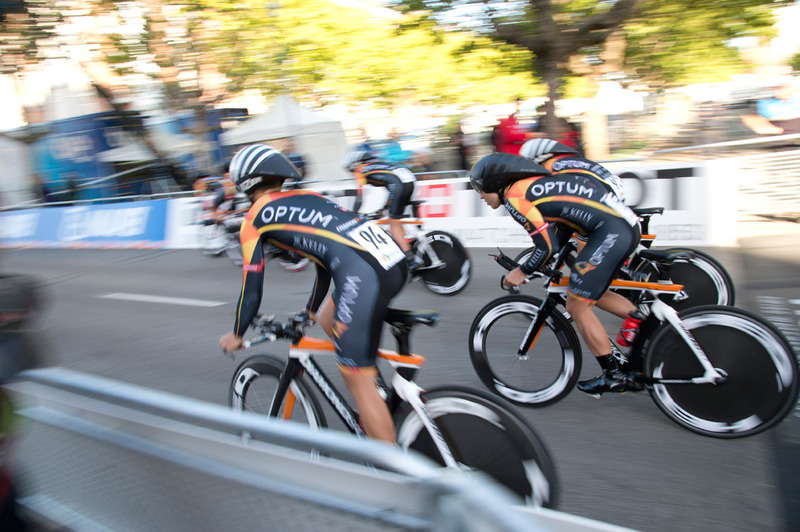 Optum’s focus as a team on the TTT also paid off last season with a 4th place finish at the TTT World championships in Ponferrada, Spain, only 7 seconds off the podium (so close!). I have moved past the feeling of shock and surprise at my time trial ability, to a point of confidence and performance expectation. This season it was time to ensure that my position and equipment offered the best possible advantage. I drove down to San Diego as soon as the team finished up racing in San Dimas, getting up early the next day for testing. 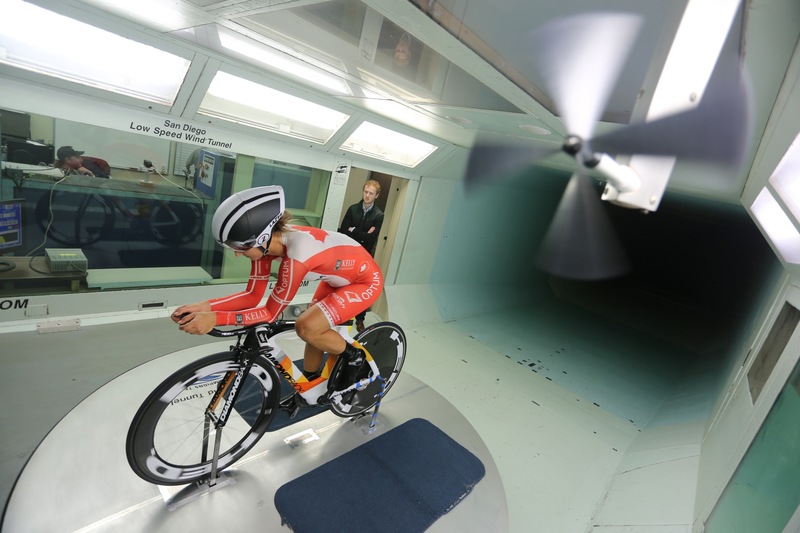 The San Diego wind tunnel is located near the airport, and they use it to test all kinds of things. It was fun to check out their wall of fame to see all the rider who have been tested in the tunnel in past years. Everyone from Tony Martin, to Amber Neben and Kristin Armstrong are up on the wall. I was most amused to see photos of downhillers on the wall as well, I guess they need to be aero too! Aerodynamics guru, Dino from HED cycling ran the show during the testing. A crew of engineers worked behind the scenes to run the tests and analyze the data as I rode different positions and equipment. I was thankful to discover that the most uncomfortable and convoluted positions we tested were not necessarily the fastest for me! At the end of the day, we came up with my ideal riding position, and I’m feeling speedy riding my Sram equipped Diamondback SERIOS time trial machine, ISM saddle, HED race wheels, Lazer Wasp helmet and Canadian edition Mt. Borah speedsuit. Spending time in the tunnel was an incredible experience, and I have to thank Optum and the Canadian Sports Centre Manitoba for making it possible. I’m ready to crank out some serious watts this season. Next stop, Redlands!